Beautiful World Tents offer a delightfully memorable alternative to a marquee wedding. With breathtaking Giant Hat tipis and a bespoke tailored service, you’ll have the opportunity to inspire your guests with a truly unique and unforgettable day. 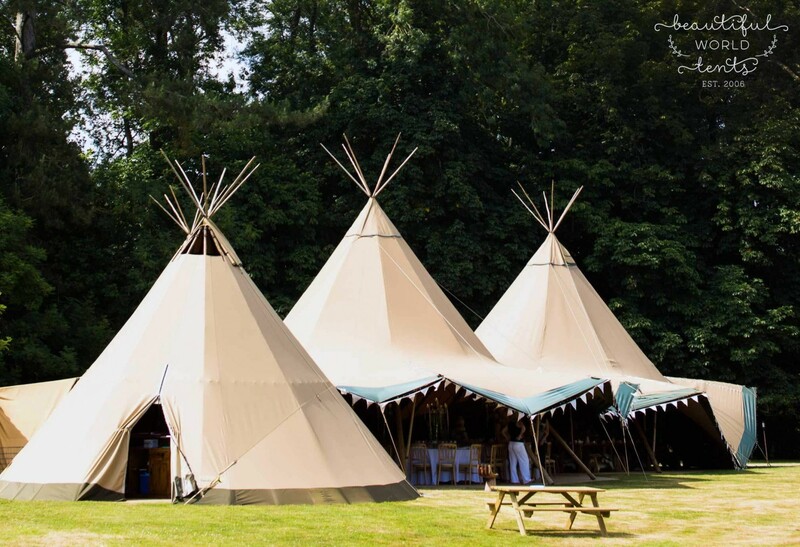 Having earned a deserved reputation as the South East’s leading tipi wedding specialist, their team of experienced advisers will guide you throughout your journey, assisting both with technical and practical details, alongside the best advice on how to fine-tune your wedding day, from seating plans to those finishing touches. Beautiful World Tents has a range of furnishing options for hire, so whether your wedding style is more country than traditional, or more classic than rustic, they will have something perfectly suited to your requirements. For a personalized quote or even a informal chat about your wedding day plans get in touch with Beautiful world tents today.